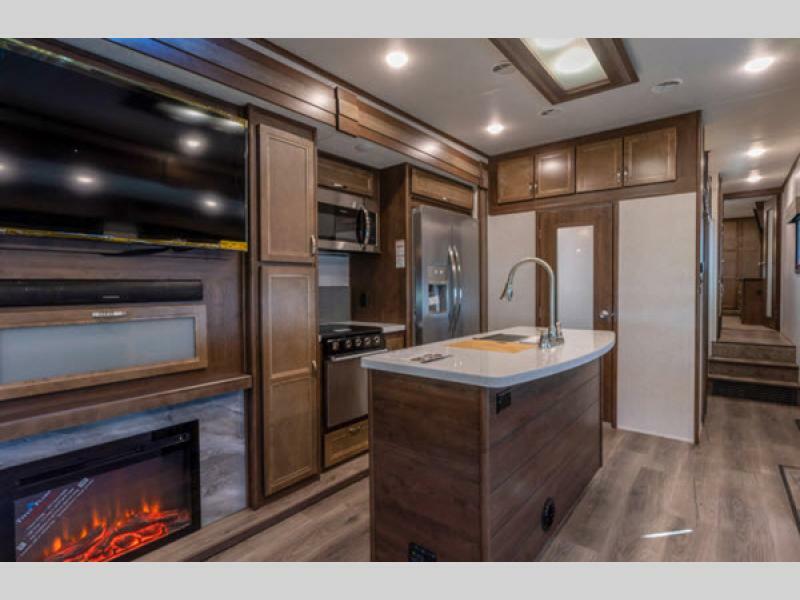 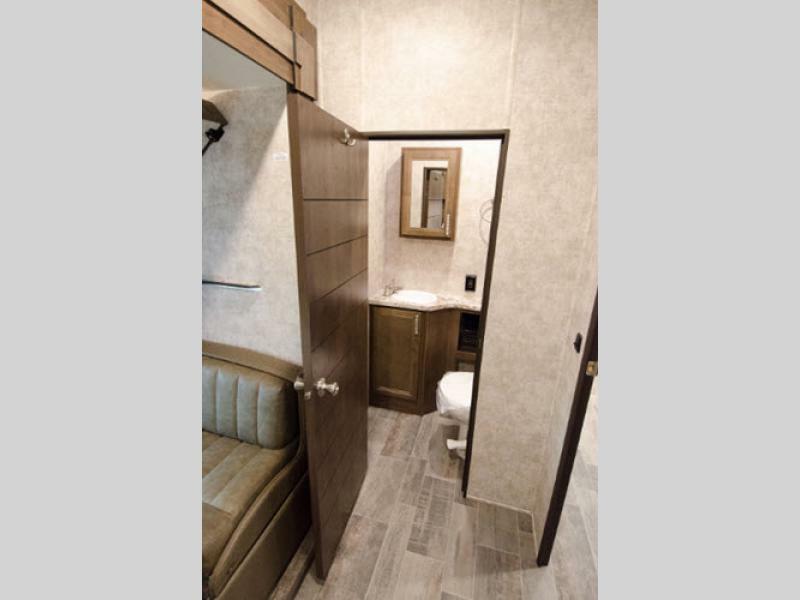 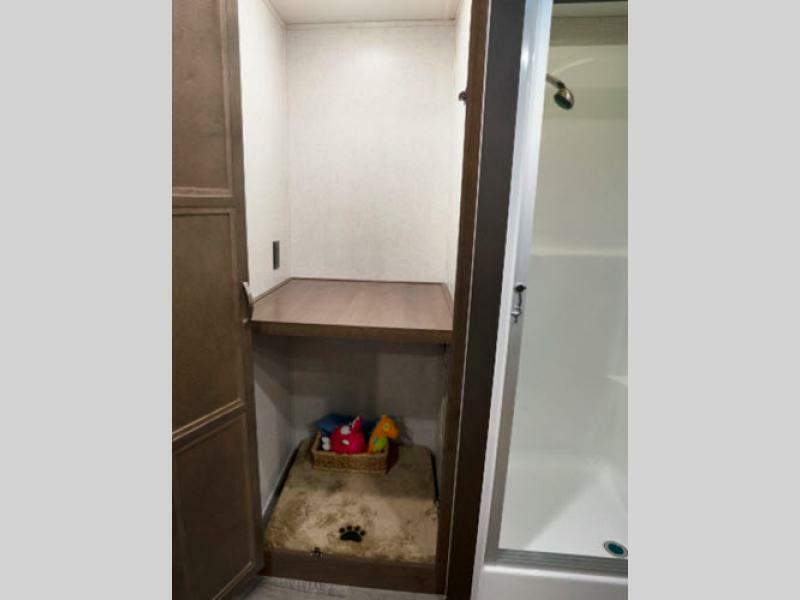 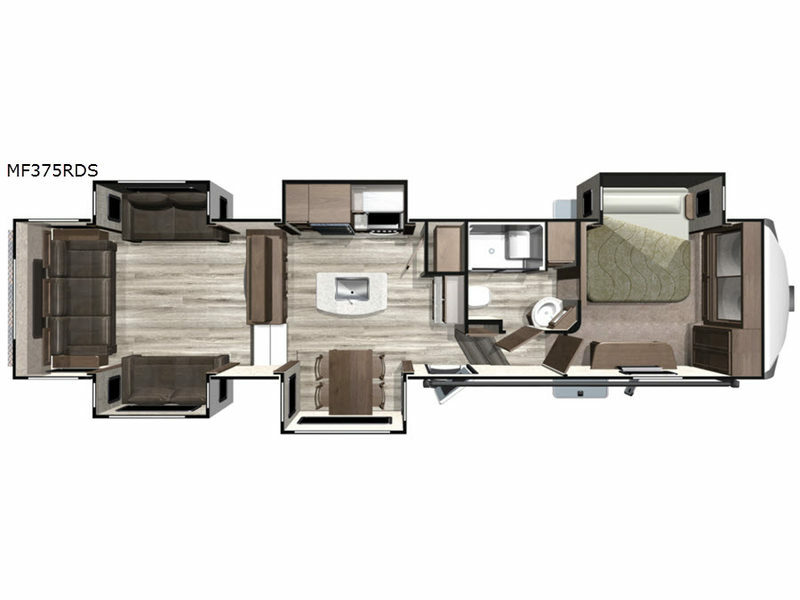 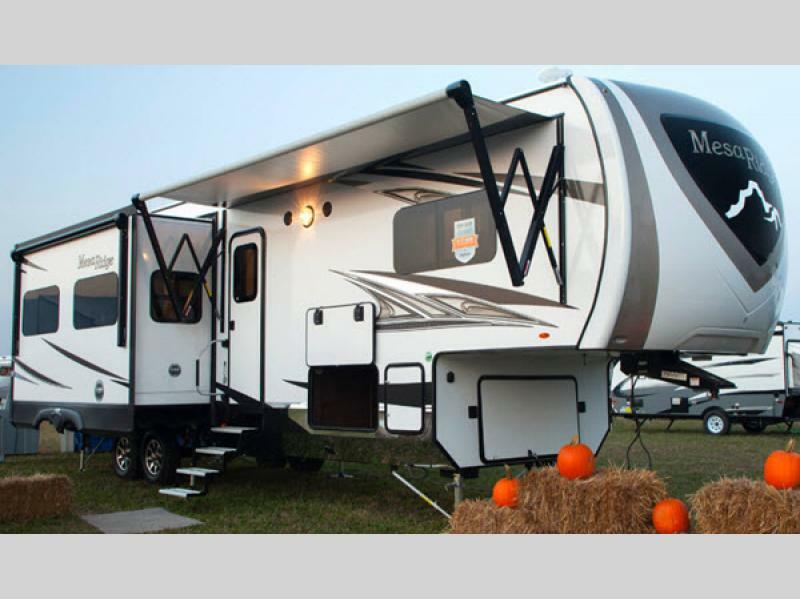 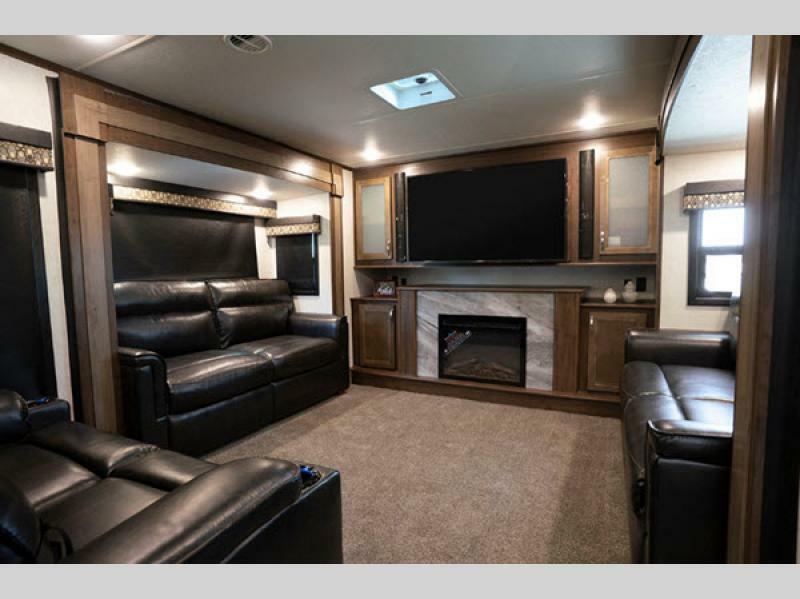 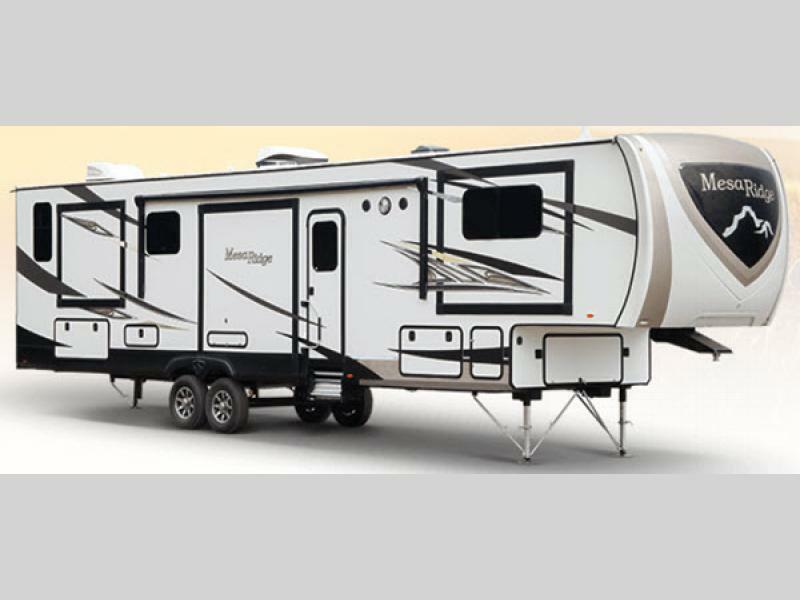 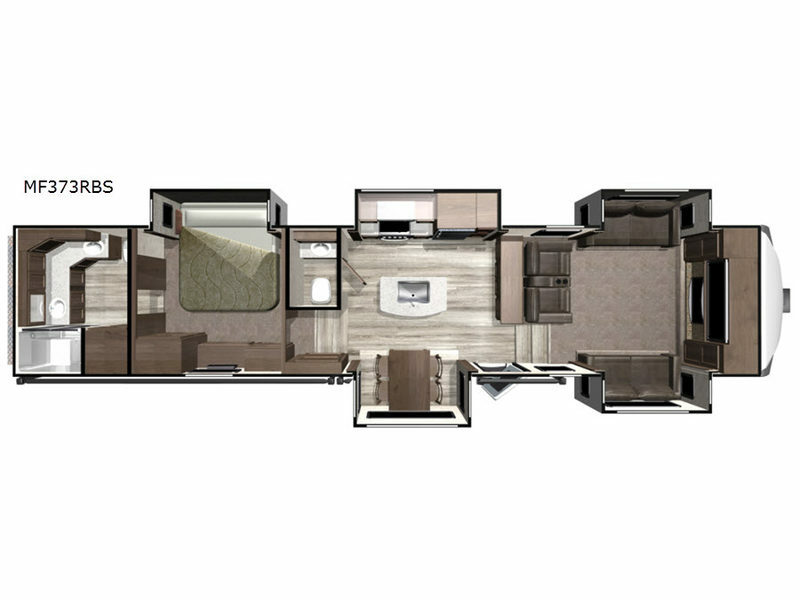 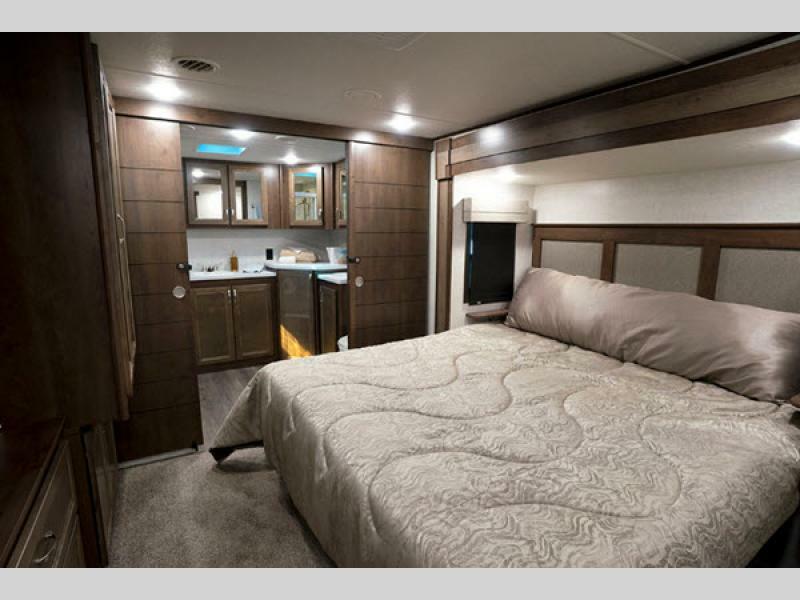 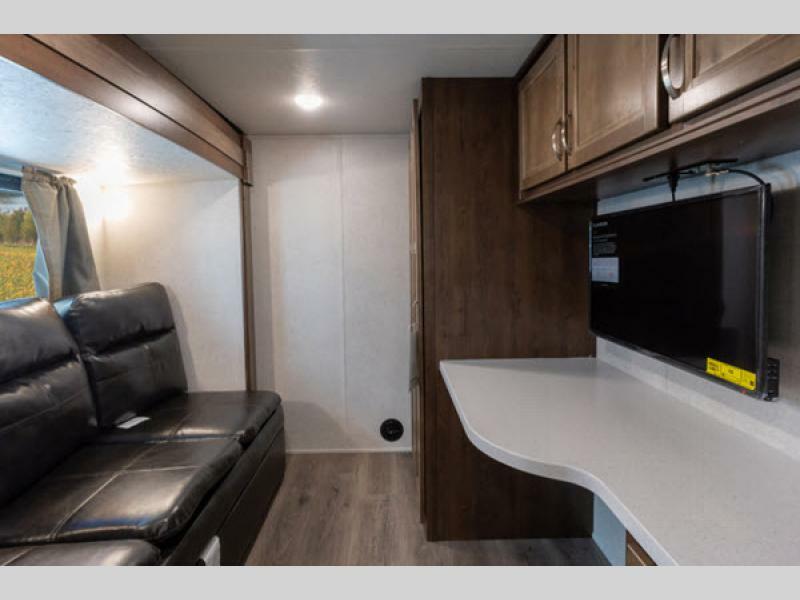 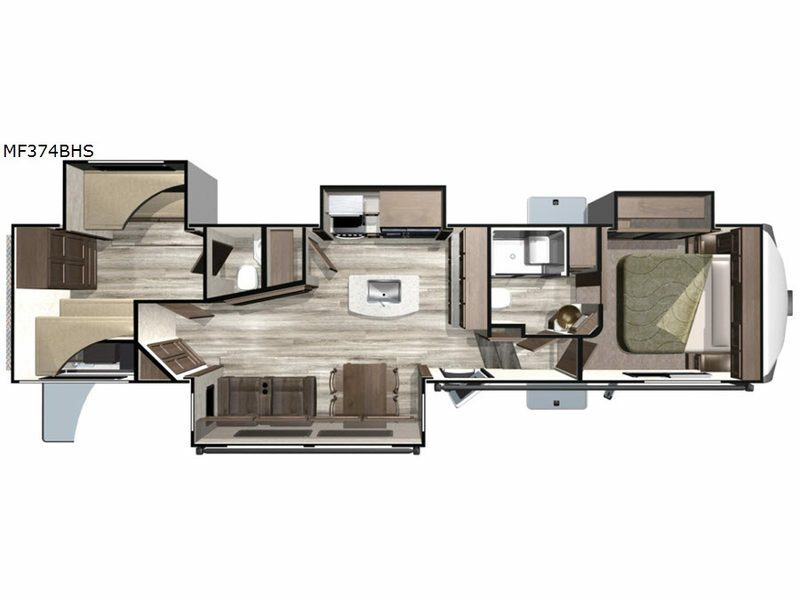 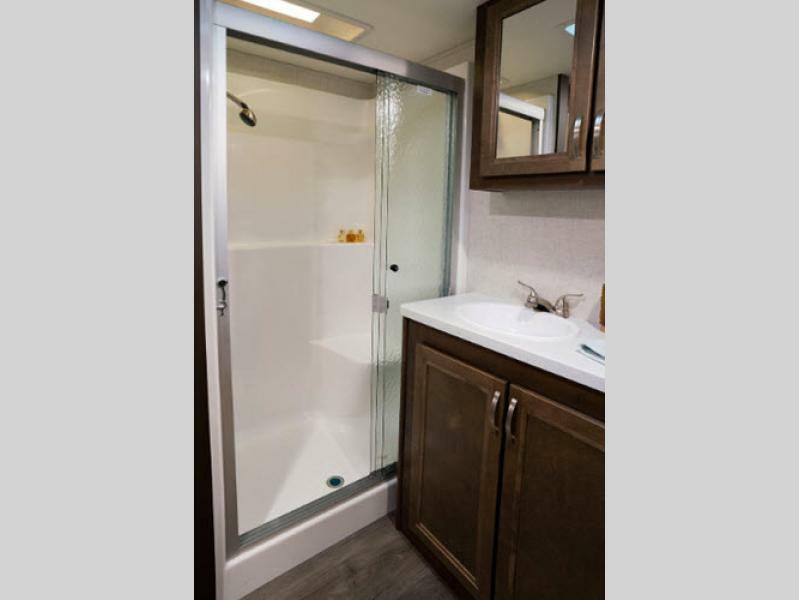 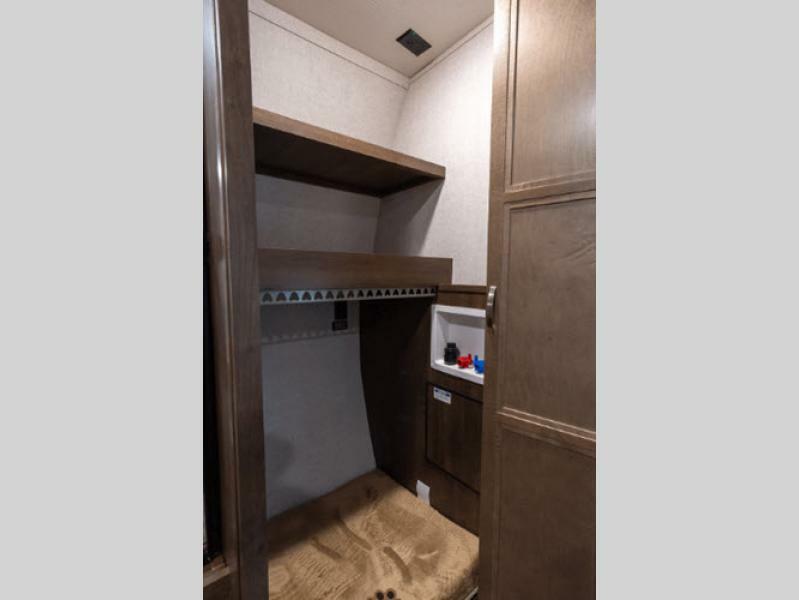 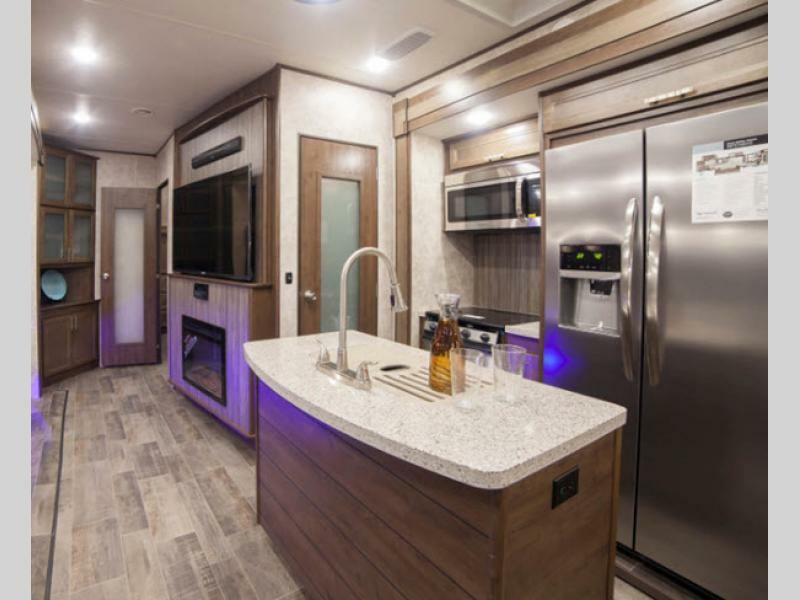 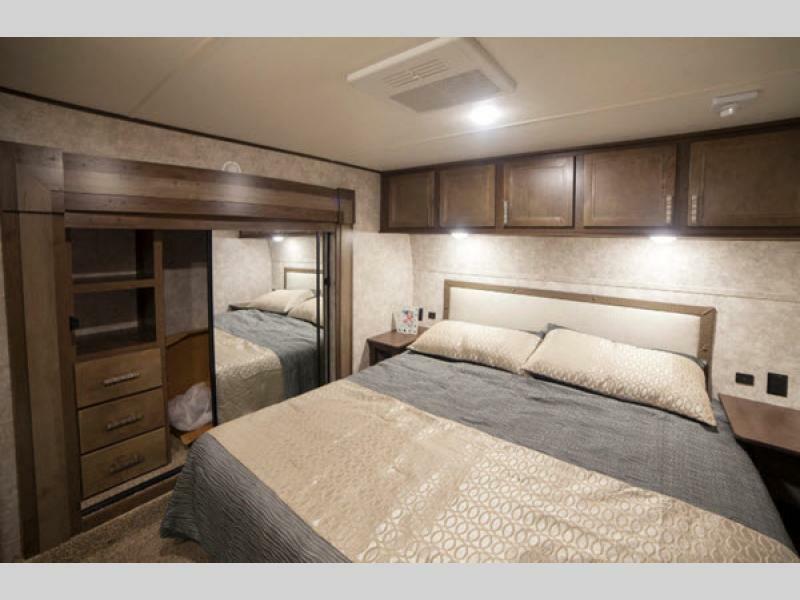 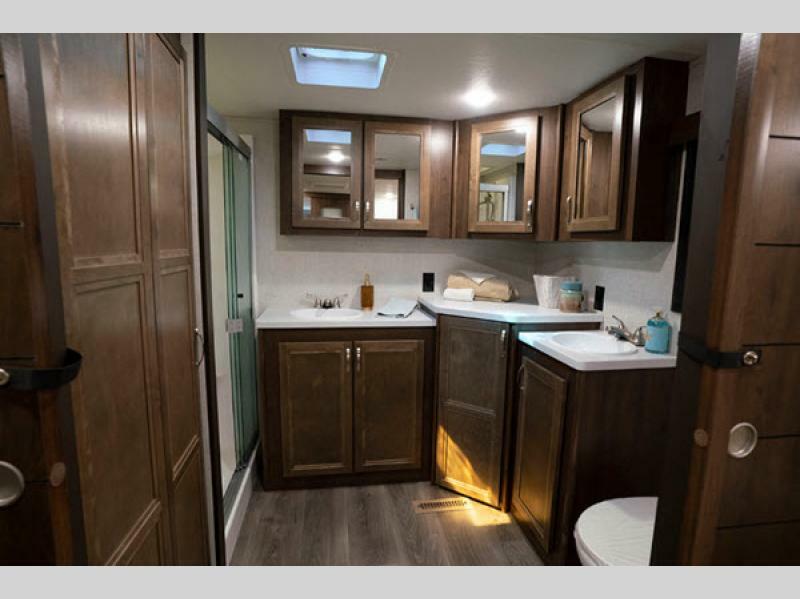 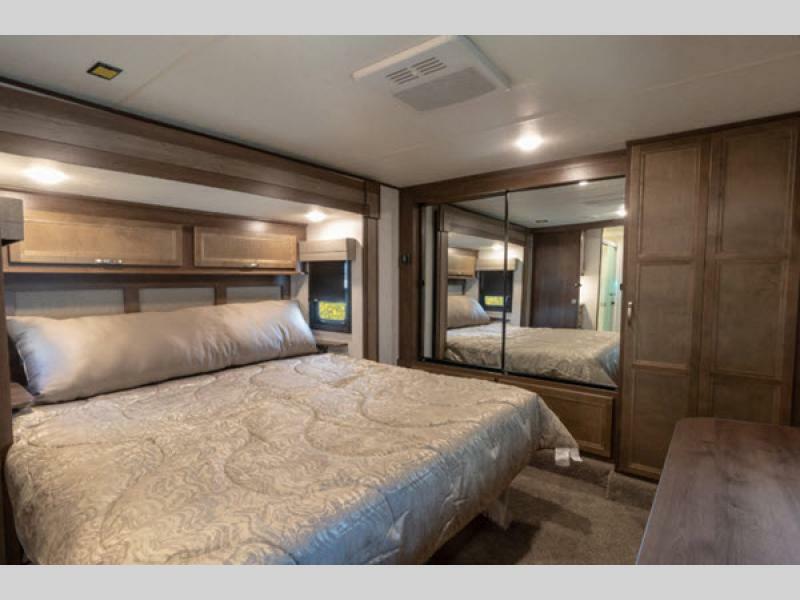 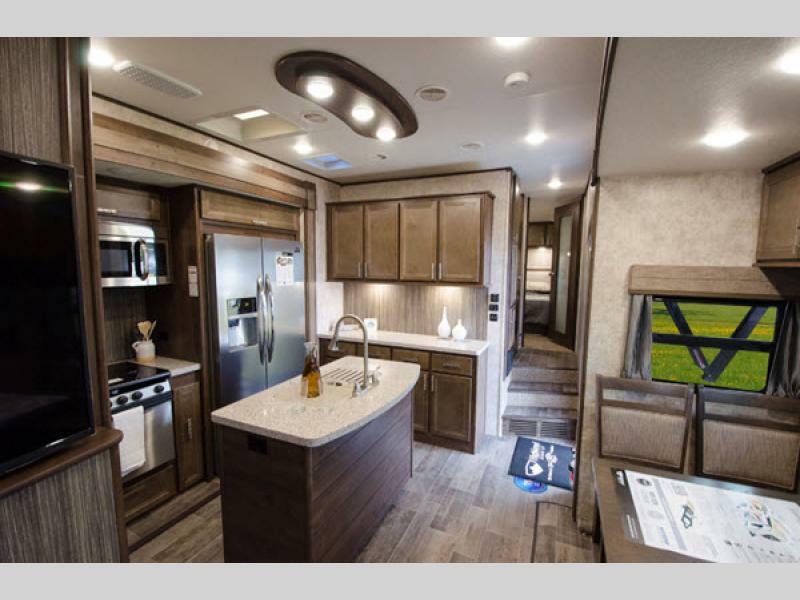 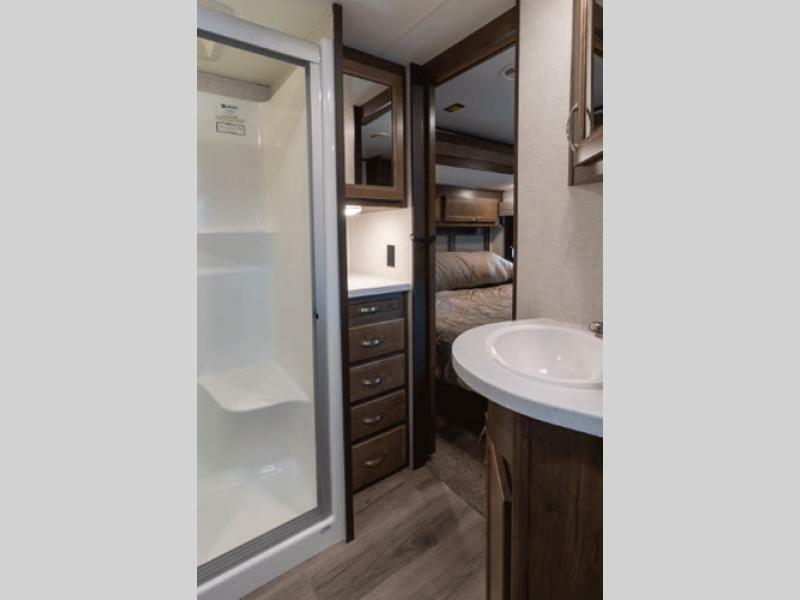 The Mesa Ridge travel trailer and fifth wheels by Highland RV are a unique 100" wide-body series with the ACCU-SLIDE slide system providing 42" deep with four-corner compression. 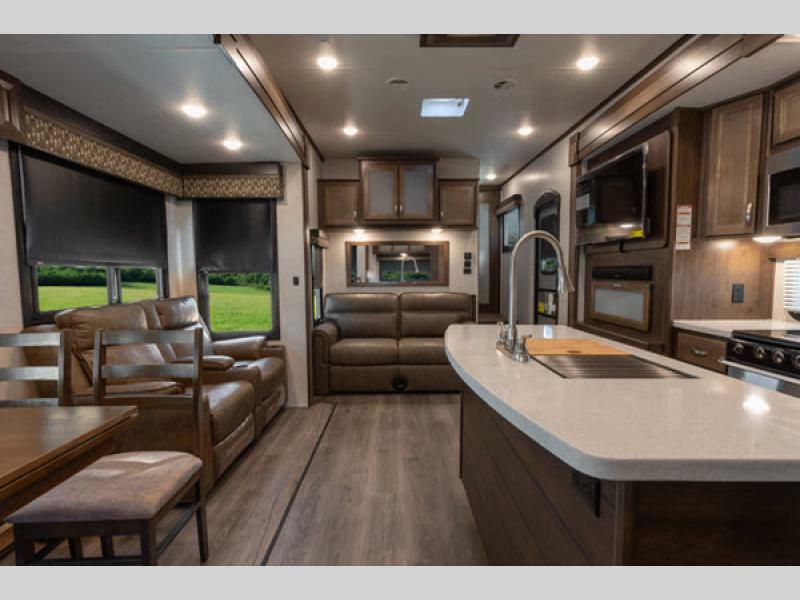 You'll love the all-aluminum exterior with its smooth automotive look which will allow it to keep looking new for years to come. 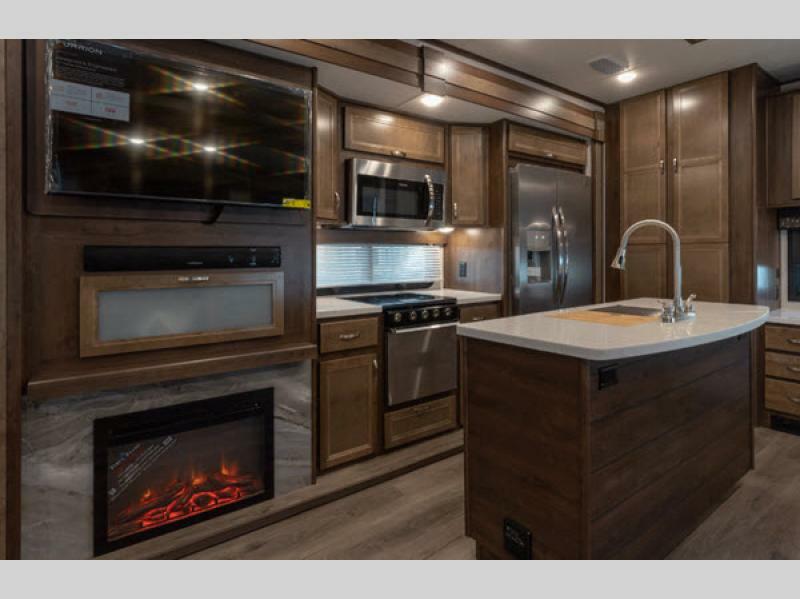 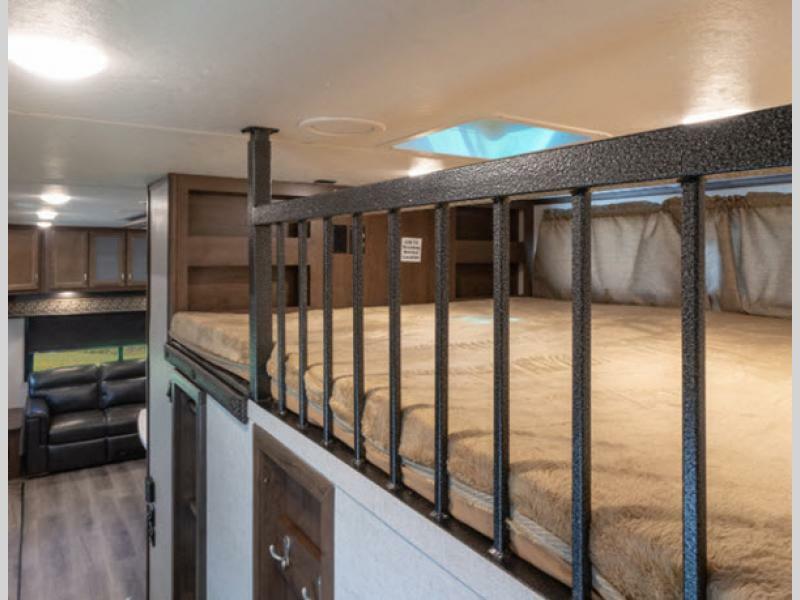 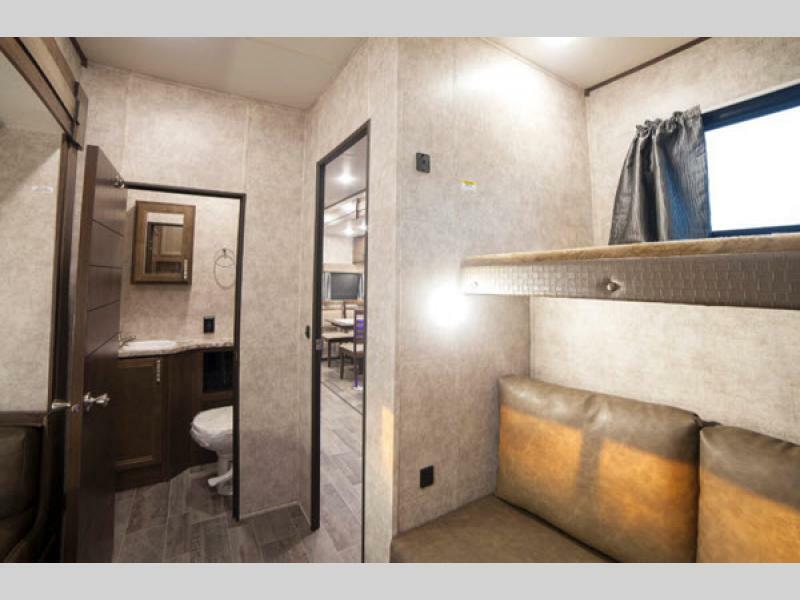 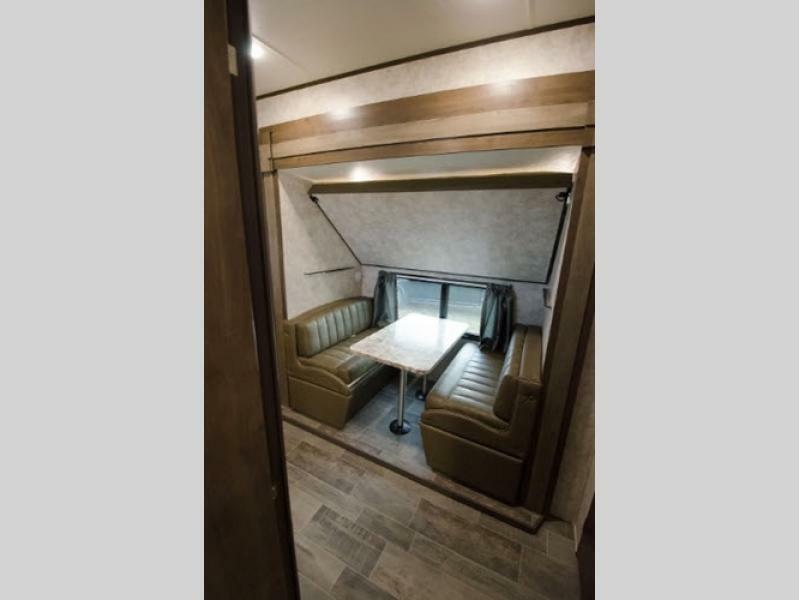 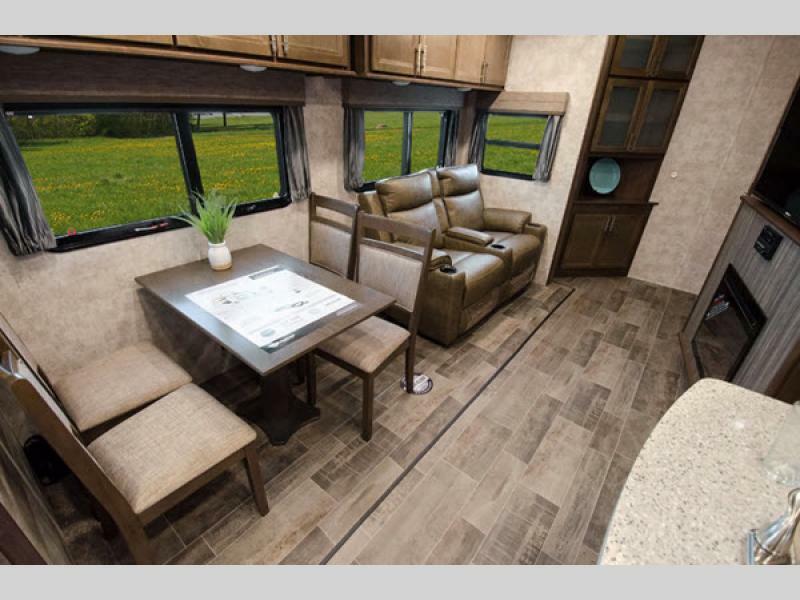 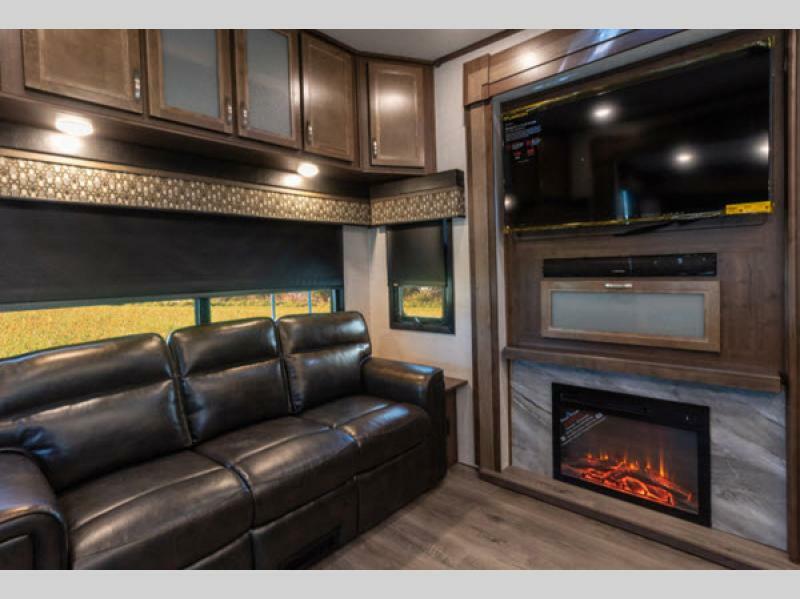 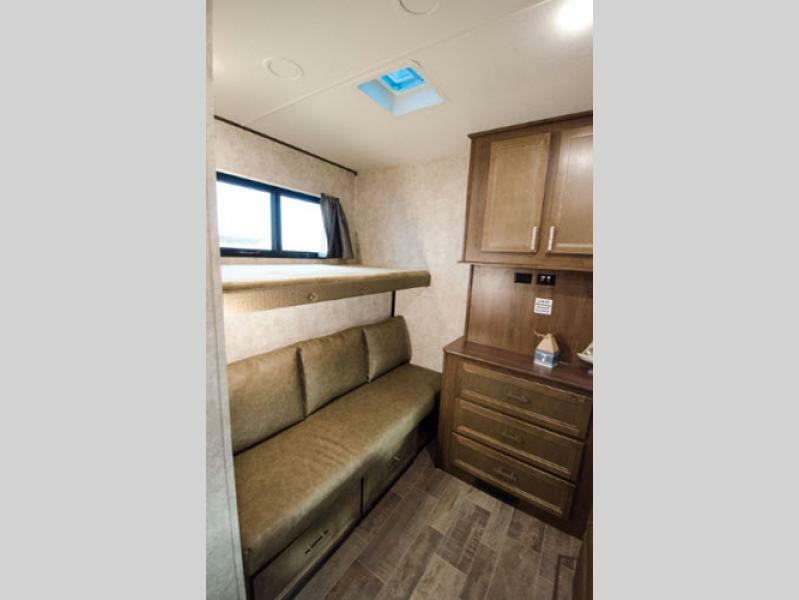 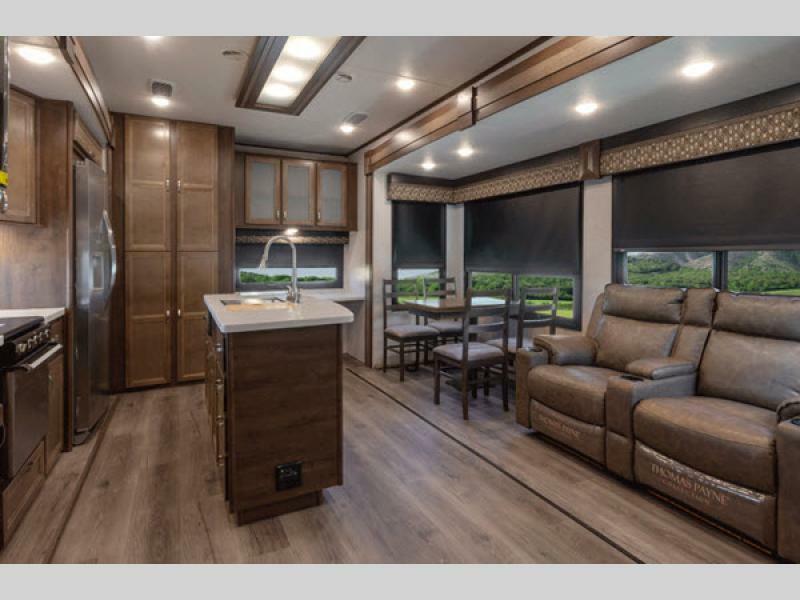 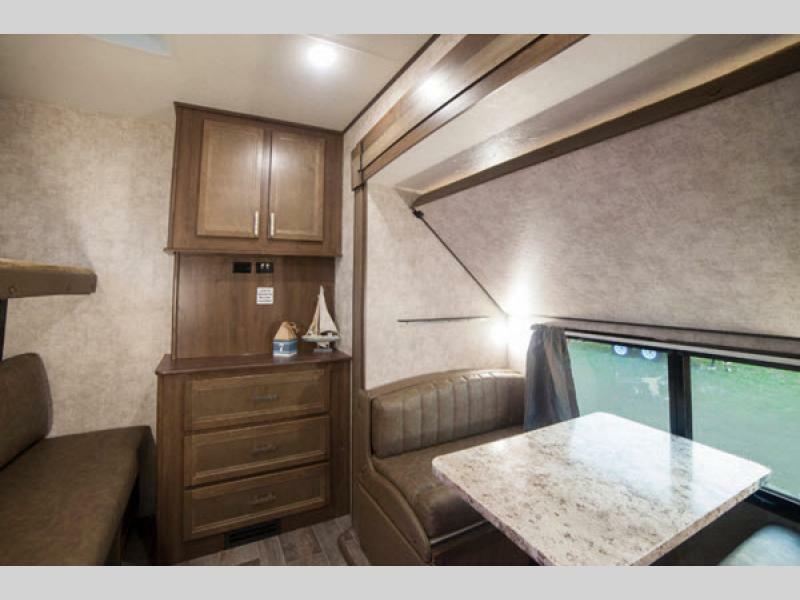 A few of the construction and exterior features include a fiberglass front cap with LED lights, an XTRM PLY PVC membrane roof with a 15 year non-prorated warranty, and the Key-Alike system, plus a heated and enclosed underbelly for four seasons of traveling. 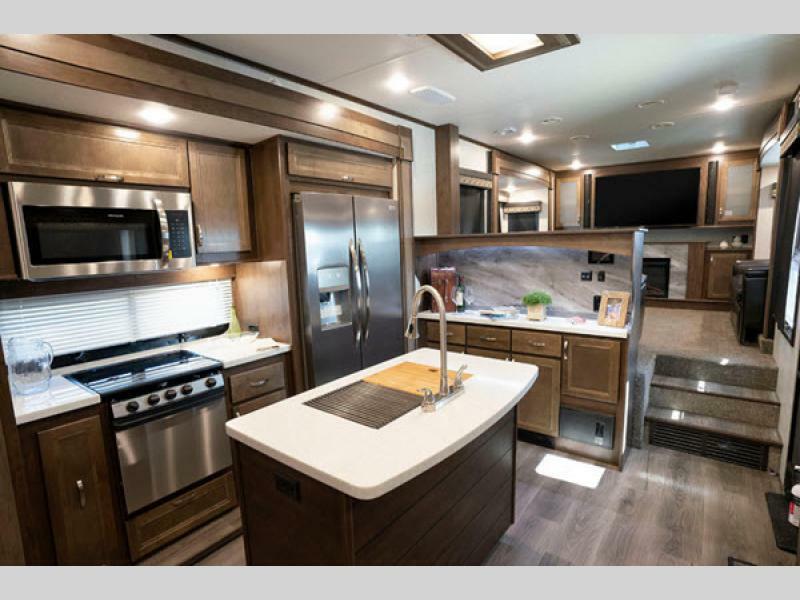 The kitchen includes ball bearing full extension drawer guides, solid surface countertops, and stainless steel appliances. 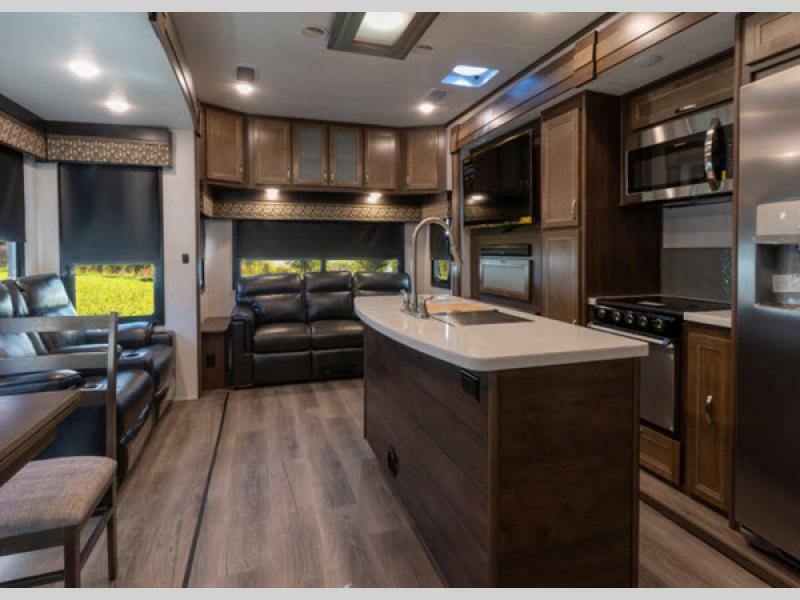 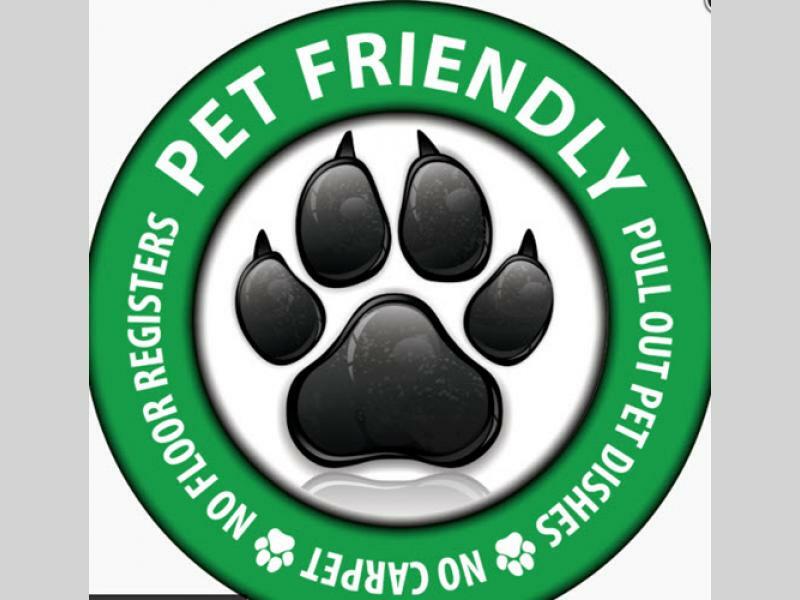 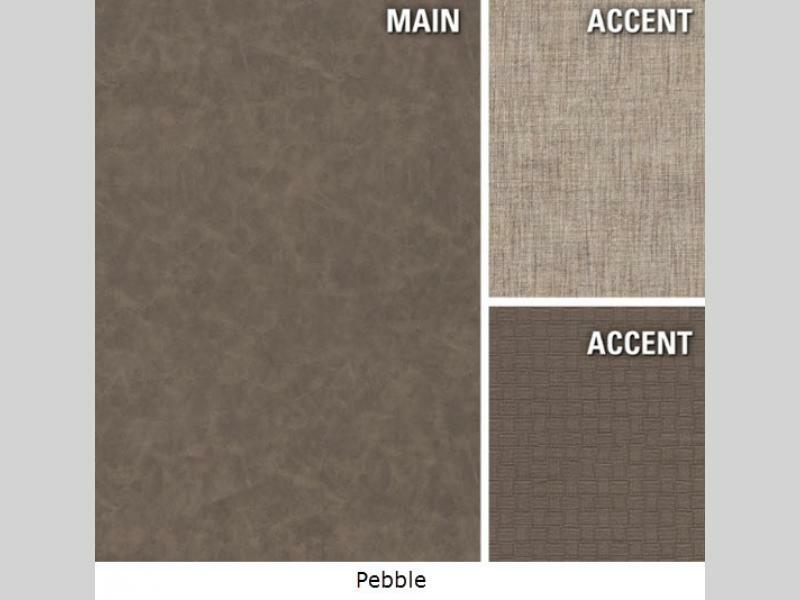 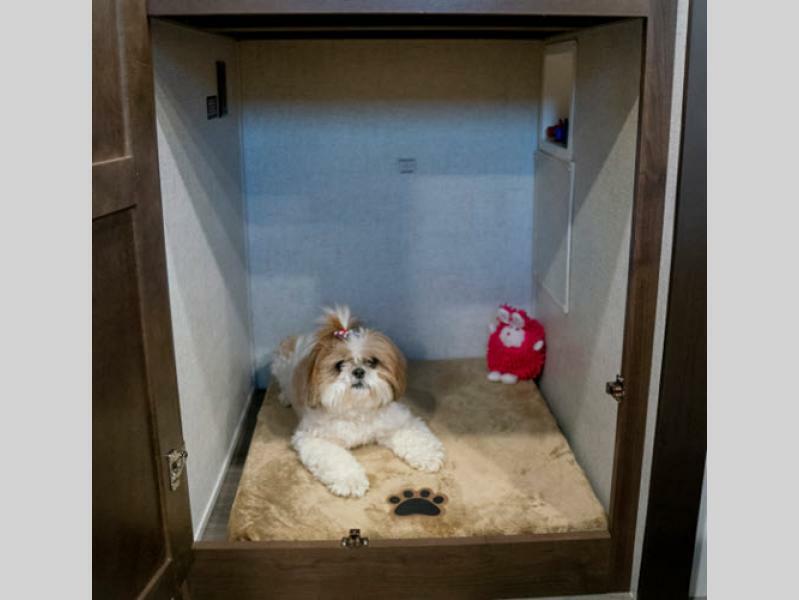 There are many more interior features to enjoy! 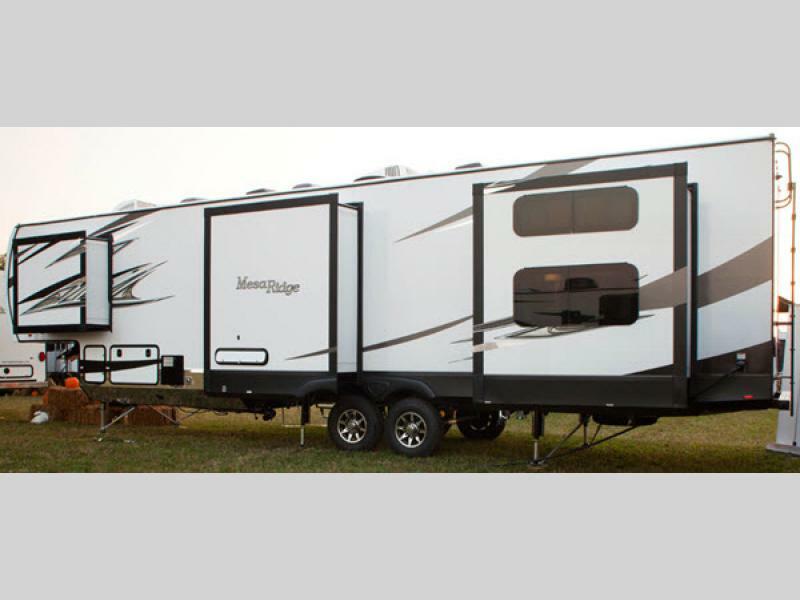 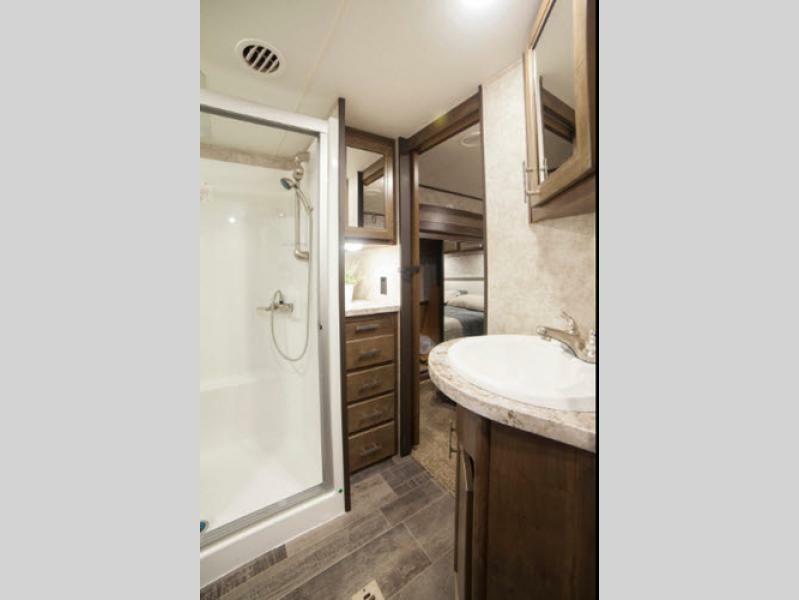 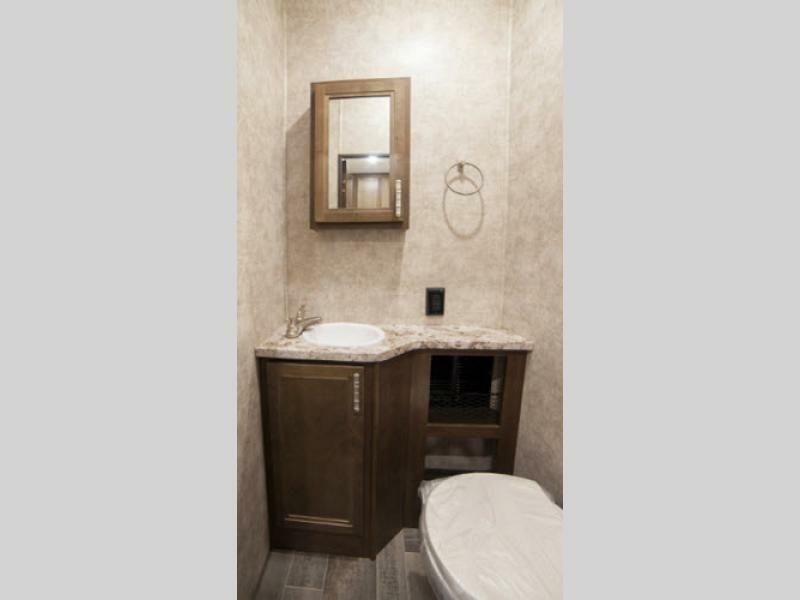 Come and select your new Mesa Ridge travel trailer or fifth wheel. 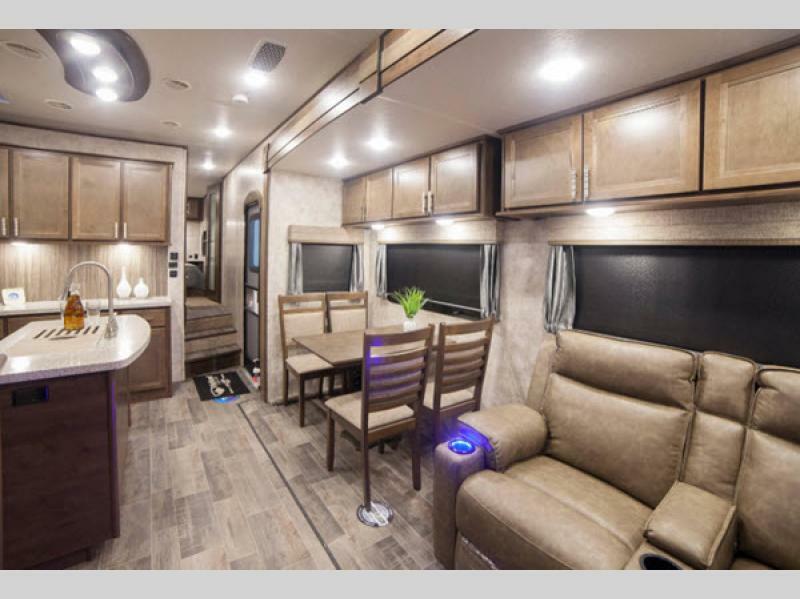 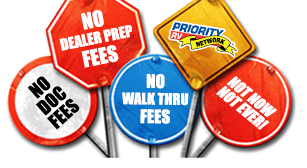 Which ever it is, make a Mesa Ridge by Highland Ridge RV your choice for all your family travels.